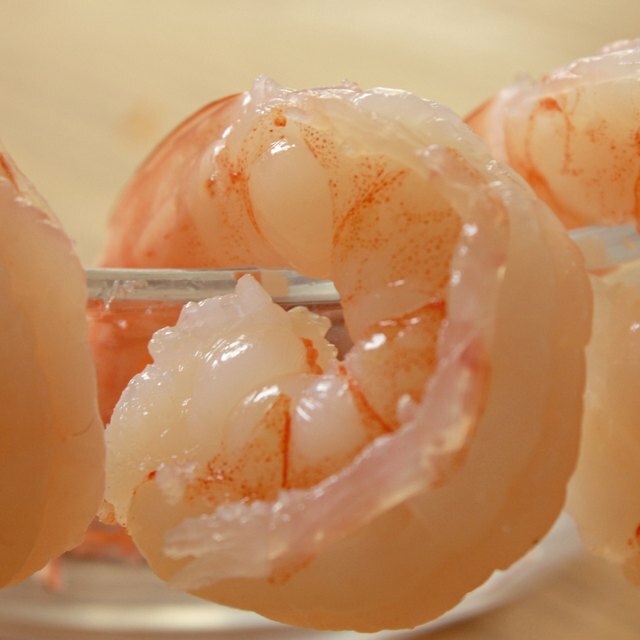 4 Do You Defrost Frozen Shrimp Before Cooking? Like most fish and shellfish, lobster tails have to be thawed properly in order to preserve the flavor. Although they can be defrosted in the microwave in a pinch, the best way to thaw them is using cool air or water. Either leave the lobster tails in the refrigerator overnight, or soak them in a pot of cold water for an hour or so. Just remember to not leave them sitting out thawed for too long. Shellfish goes bad pretty quickly. Decide which method to use to thaw your lobster. Thawing in your refrigerator doesn't waste any water, and it is probable better for the flavor of the lobster tail, but it can take 10 hours. Thawing in a pot of cold water only takes about an hour. Put your lobster tails in a pot. Make sure it is tall enough to hold them. Cover your lobster tails in water for a quick thaw. Fill the pot with cold water and set it out in the room for one hour. If you are going to thaw your lobster tails in the refrigerator, skip this step and proceed with Steps 4 to 6. Check your refrigerator temperature. It should be between 35 and 40 degrees. If there is no thermostat, place a meat thermometer in the fridge, close it for 15 minutes, and check the temperature. Cover the pot with plastic wrap. This will keep the lobster tails from drying out or getting a "refrigerator smell." Place the pot in the fridge and leave it there overnight. Cook your lobster tails within about 24 hours of thawing them. This will ensure that they are still fresh. Never leave shellfish sitting at room temperature. If you use the pot method, be sure to not let them sit out after they are done defrosting, or the water will get warm.